Workers Compensation Reserves – How Does Adjuster Set Them? All Workers Compensation reserves have a common element. Very few, if any, employers, actuaries, underwriters, agents, and any other players in this hybrid insurance understand how reserves are set – other than the adjusters themselves. By the way, that is a graphical representation of E=MC(2) Some workers compensation adjusters do document their reserving well. With the sterileness of algorithms, workers compensation reserves machined out by a chip are becoming more common. In fact, sometimes the adjuster CANNOT even override them without supervisory or managerial approval? 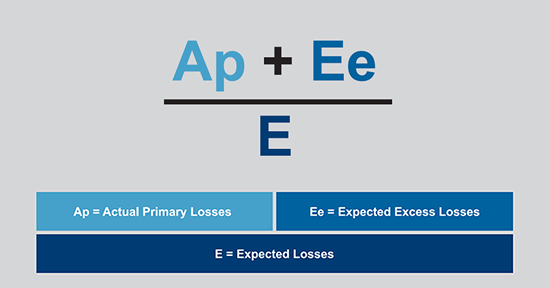 What is the basic minimum for an adjuster to have the knowledge to set proper reserves? The mark rests at 5 – 7 years of experience. Why? The adjusters by then have seen enough instances of each type of claim to have a solid background in being able to set the reserves. Most claims staffs have a spreadsheet type reserving system which allows the adjuster to input the indemnity, medical, and allocated expense reserves that post to the file. 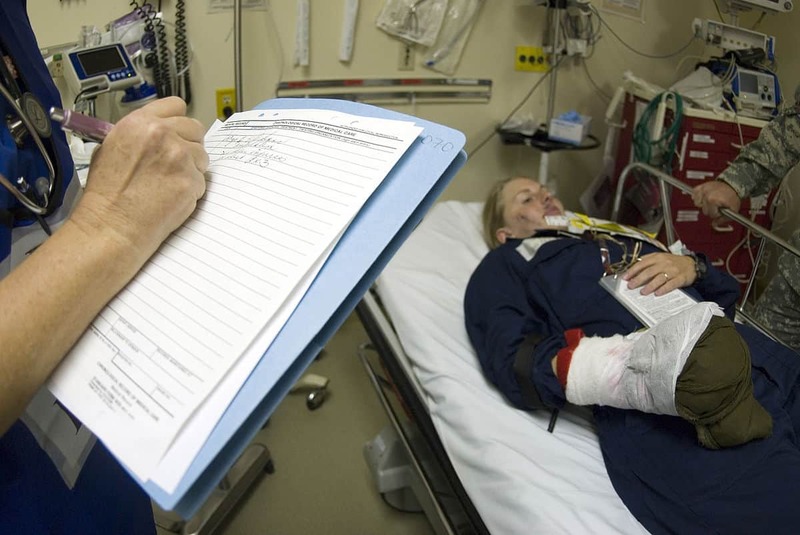 Even if the claims staff uses advanced software, a spreadsheet still produces the workers compensation reserves . 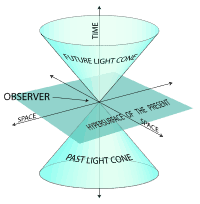 One of the conundrums is the reserves for the lifetime of the file are usually set at a 60 day interval – with no adjustment to those for many months or years, or until the file closes. If you are reading this article and are not the claims adjuster on a file or a certain set of files, you may want to set up a diary that enables you to analyze the reserves every 60 – 90 days. A precious commodity that allows you to access the reserves in real-time (over-used word) becomes critical to following the reserves of the file. You do not have to email the adjuster every time your diary date comes up. Analyzing the reserves should be the key. If the claims staff does not know who you are, then you should email your adjusters just to establish communications. Many large organizations have such a manual requiring the adjusters to contact the respective insureds. Notice how I bolded establish communications. One of the keys to proper reserves is a line of communication between the insured and their adjuster(s). If you need to pull the loss runs (without real-time access to reserves or claims then that cycle becomes a delayed system. As I noted over 10 years ago, online access may be worth 20% more on paying premiums or paying a TPA to process the claims. That number remains accurate today. Subrogation – was there any other parties involved in the accident – police reports for auto accidents, etc. The adjuster will usually have 50 – 100 different blanks to fill in on the proverbial reserving spreadsheet. If many positive and communicated developments occur early in the claim, your workers compensation reserves may be lower than a company or organization that does not communicate with their adjusters <<by email. Workers compensation reserves and adjusting remain a team effort for the successful companies. A North Carolina Appeals Court rendered a very interesting decision earlier this month that was a shocker.. I am not saying whether or not I agree with the decision. Those kinds of decisions are best left to the courts. The case was Davis v. Craven County ABC Board, No. COA17-908, 04/17/2018. The complete decision can be found here. It is a small PDF file. You will need a PDF reader such as Adobe Acrobat. One of the bedrock decisions in North Carolina (I was the claims adjuster on this one) was Simon v. Triangle Materials. The Simon decision brought “effect a cure and give relief” to light and strengthened the phrase in our HQ state. Davis’s claim was accepted as compensable. The treating physician prescribed a non-FDA-approved cream for the injured employee to use. The carrier denied the prescription. The North Carolina Industrial Commission approved its use by Davis at both Deputy Commissioner and Full Commission levels. this Court has no authority to rewrite the law on policy grounds. That is a task for the legislative branch. Take notice of that last bolded sentence – very interesting. I was involved in an offshore captive insurer’s decision to deny a cream that contained Fentanyl. The treating physician in Florida changed the cream from a Fentanyl-based to a non-FDA approved cream. I provided the captive with a large amount of documentation on Fentanyl. The non-FDA approved cream was OK’ed by the captive owners as a better alternative than what was considered a dangerous drug a few years ago (2011). Why did I write up this article? Many workers comp adjusters, not only in North Carolina, need to know when an unusual decision or circumstance occurs in Work Comp. Even if you do not have claims in the Tarheel State, this type of decision may be coming to or already has happened in your state. The reach of a decision sometimes is much longer than this North Carolina Appeals Court decision. Reserve Review Schedule – Are You Behind Or Ahead? A reserve review schedule can save many headaches if your company has a January 1 renewal. January 1 remains the most popular date for renewals by far. July 1st is the second most popular date. Most governmental entities renew on July 1st. Some governmental units have moved their renewals to January 1 over the past few years. A few years ago, I published a set of articles centering on a reserve review timetable. I wrote a summary of the reserve timetable articles due to a few emailed requests. The rating bureaus (NCCI, WCIRB, etc.) allow the extra six months for full claim reserve development. Remember that Total Incurred = Paid + Reserves. The total incurred figures will be reported to the rating bureaus. Your target date to start a reserve review is usually three months after renewal. For January 1st renewals you are running 45+ days behind schedule. The upcoming Unit Statistical Date (Unit Stat Date) remains ever important. Your reserves for claims from the last three to four years peg to your Experience Mod on that date. Claims departments usually review your reserves for reduction at closing. One phone call or email will not suffice for a good reserve review. Obtaining a full loss run just after renewal and starting then will give you a full six months to track, review, and if needed, negotiate reserves. The recommended best method involves a year-round loss run reserve review and communication with the claims adjusters (by email) on a regular basis. Employers that begin a year-round review program are surprised when their reserves and eventually the E-Mod drops to an acceptable level. There are many articles on how to do a loss run and reserve review in the articles I have written. For more info, you can click the Categories or Tags at the bottom of this article. Also, use the search box at the top right to find more articles on starting a reserve review schedule. The Insurance Academy that is part of the Insurance Journal invited me to do a free-form presentation tomorrow at 1:30 PM Eastern. I decided to do one on how sub-contractors and contractors have been shut out of contracts for a .01 too high-risk factor. Yes, .01 can lose companies millions and turn the rating bureaus into quasi-credit bureaus. The Insurance Academy presentation is located here if you wish to sign up. How did I come up with this topic? We receive phone calls and emails on this very topic weekly, if not daily. Bidding on contracts changed a few years ago when certain new contract clauses caused quite a stir. 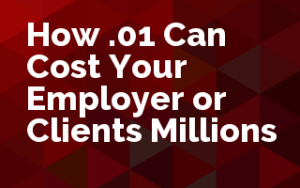 The newest trend in Workers’ Compensation works against any company or organization with an Experience Modification Factor (E-Mod or X-Mod) over 1.0. Public sector RFP requirements have been designating “no bidding” on contracts if the E-Mod is over 1.0 for years. The trend has now spread to private employers on bids and subcontracts. This is currently a hot topic among agents and Risk Managers. Can increase to an unacceptable level with just a few dollars of increased claims. The webinar will also cover the E-Mod cycle and how to plan for the future E-Mod levels. Alternatives to the regular insurance marketplace will also be covered in detail. The shocking part of the development is that agents, Risk Managers, and small business owners may not realize the Workers Compensation rating situation they are in until their bid is rejected by a governmental entity or prime contractor. We have many clients that have come on board with us just to stave off losing up to 80% of their business overnight. Even if you cannot make the webinar, if you register, you can receive a recording of it to listen to later. It is free to members of the Insurance Academy. California’s New XMod Formula Looks Simple – But Is It Really? A new XMod formula was recently introduced by California’s Workers Compensation Rating Bureau (WCIRB). By the way, why is this important? As I have often mentioned in my articles, what happens in California may be coming to a Workers Compensation policy or claim near you. For instance, take the adoption of the 7219 Class Code by the NCCI – more on that next week. Below is the new simplified formula. This formula was introduced in an upcoming 2019 Changes Module by the WCIRB. The first $250 of every claim is excluded Reporting the cost of minor workplace injuries helps everybody. I will cover the $250 loss exclusions in an upcoming article. So let us look at what is missing in the new XMod formula. Expected primary losses are long gone. What happened to this very important part of the XMod or EMod equation? Why is it no longer in place? The Expected Primary Loss now in California depends on the size of the company’s payroll. The Expected Primary Loss was eliminated to make it more of a floating number that is not set at any level. Most of the NCCI states set the level at $15,000. As I have mentioned before on this change, we will have to wait and see how it affects smaller employers. One of my concerns is that when you float the Primary and Expected loss figures and base it on company size the small employers end up purchasing Workers Compensation per unit at a higher cost than a larger company. However, all the rating bureaus have said for a long time that a larger amount of payroll spreads risks more efficiently. One wonders what further small tweaks the WCIRB will make to the XMod formula calculation. A Workers Compensation error was made by me on one of my old posts. I had to correct the error once I realized that many Asia countries had Workers Compensation coverage. Even the countries that are referred to as “Third World” have some type of coverage. The article that I wrote on the lack of WC coverages for Philippine and Thai injured workers in 2017 needs to be corrected. (1) For a covered employee in the public sector, his employer shall remit to the GSIS a monthly contribution equivalent to one percent of the actual wages or salary received by him as of the last day of the month but not to exceed P30 per employee. (ECC Resolution No. 1451 dated December 27, 1979). (2) For a covered employee in the private sector, his employer shall remit to the SSS a monthly contribution equivalent to one percent of his monthly salary credit as of the last day of the month. SS is the Philippine Social Security system. All of their Workers Compensation claim rules are very similar to the US. The one noticeable difference is the low amount of Workers Compensation rates available to employers. One percent is strikingly low except for Administrative Assistants. I think I know why the rates are so low. The medical benefits are full single payer. The Philippines has PhilHealth. PhilHealth is the 24-hour health coverage (think socialized medicine) in the Philippines. From what I have read, the 24- hour coverage also encompasses Workers Compensation medical treatment. Thailand’s workers compensation is very similar. So there you have it, a workers compensation error corrected. I do not go back and correct the posts very often.